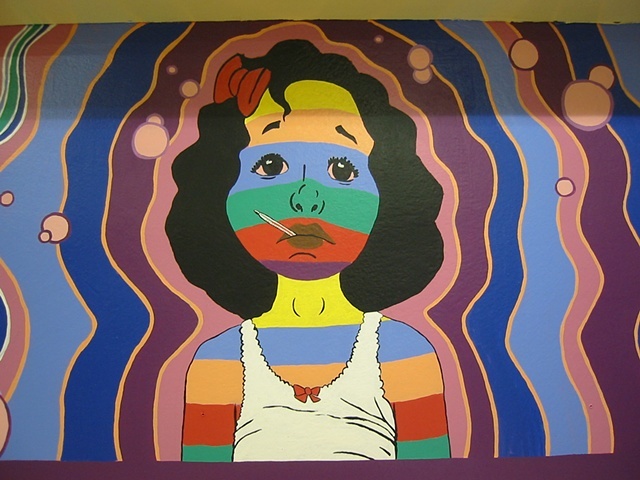 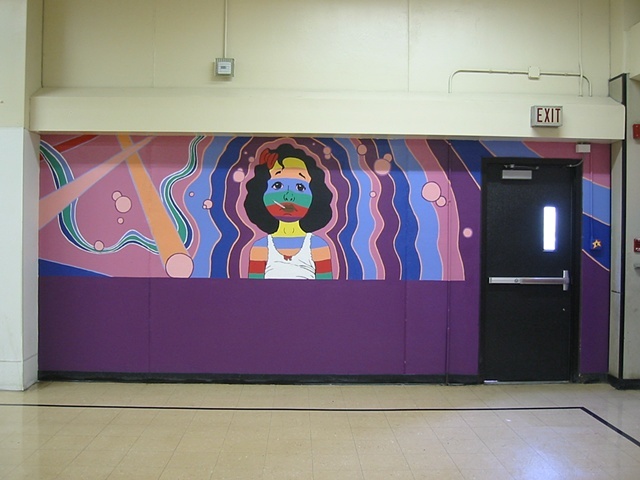 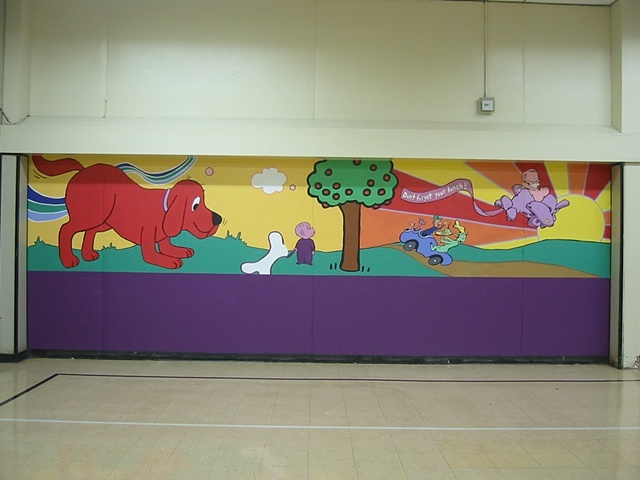 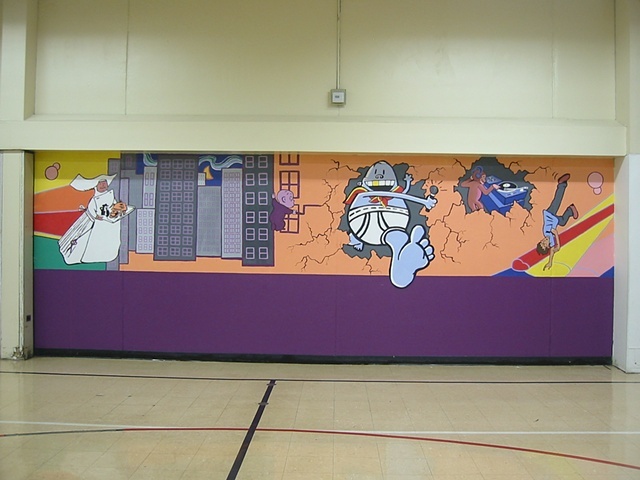 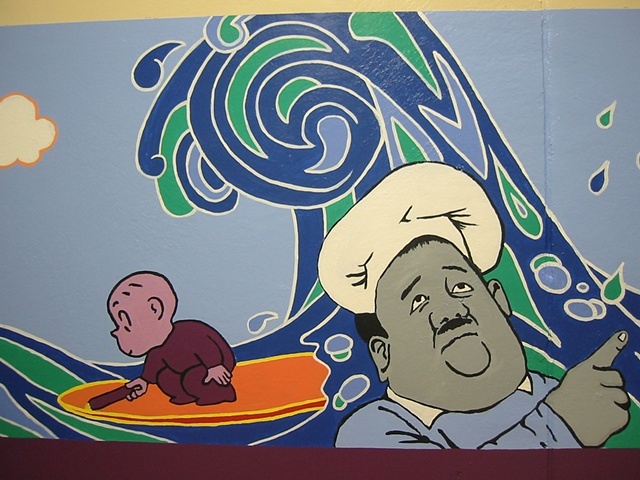 This 600 square foot mural was created for the lunchroom of Pulaski Fine Arts Academy, a Chicago Public Elementary School in Bucktown. 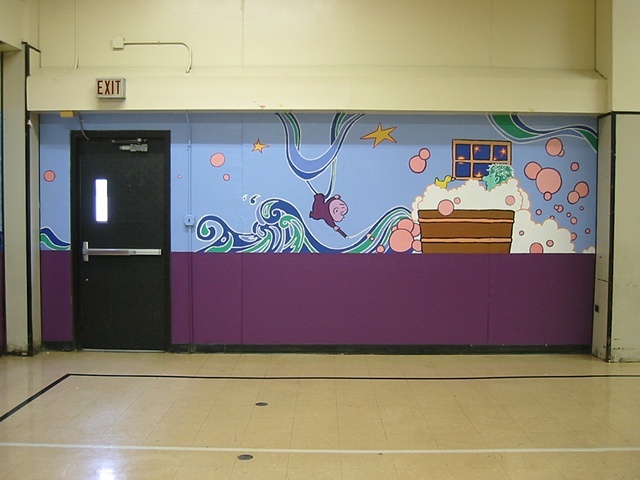 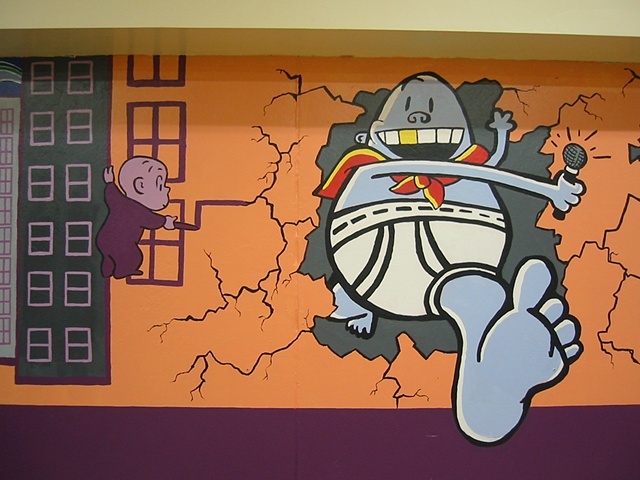 The lead artists and teachers were myself and Dustin Harris, and with a group of twelve students, we collectively painted the mural over the course of six weeks in summer 2005 . 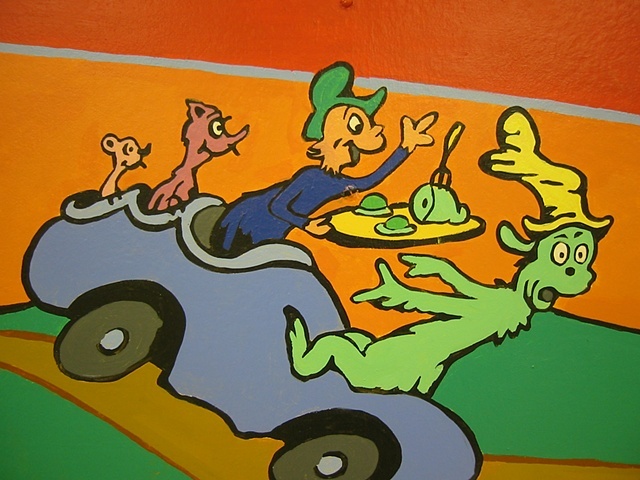 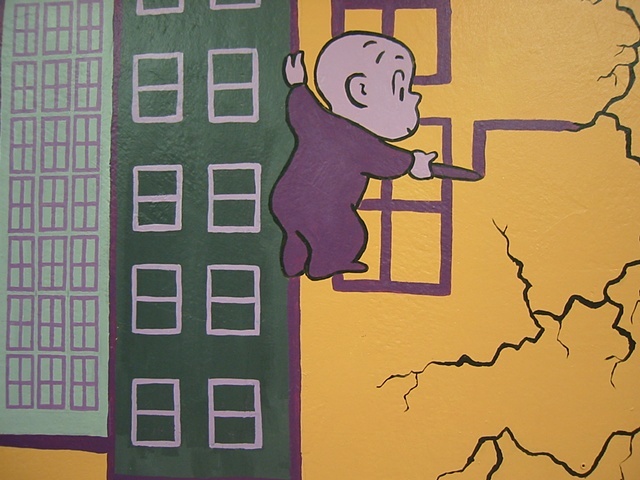 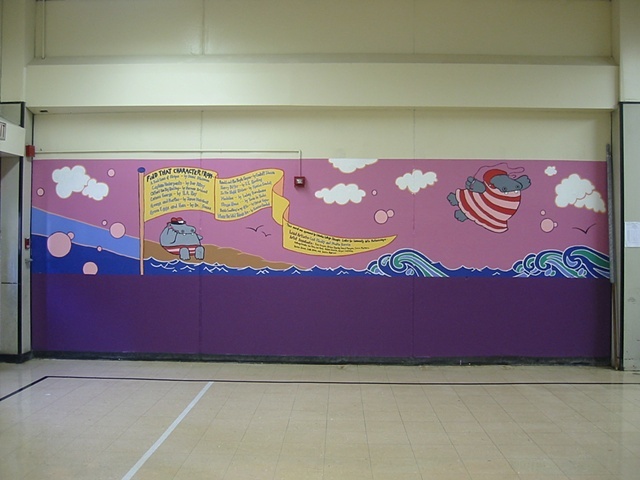 Thematically, this mural aims to both promote the love of reading to students, and to celebrate some of children's literature's great illustrators. 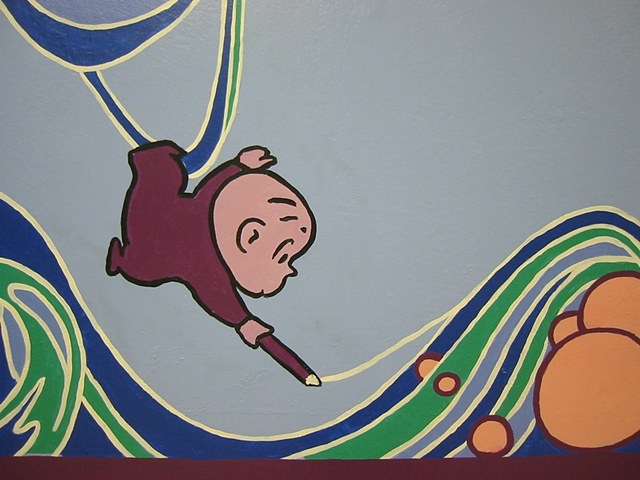 Students first collected some of their favorite books and illustators to share with the group. 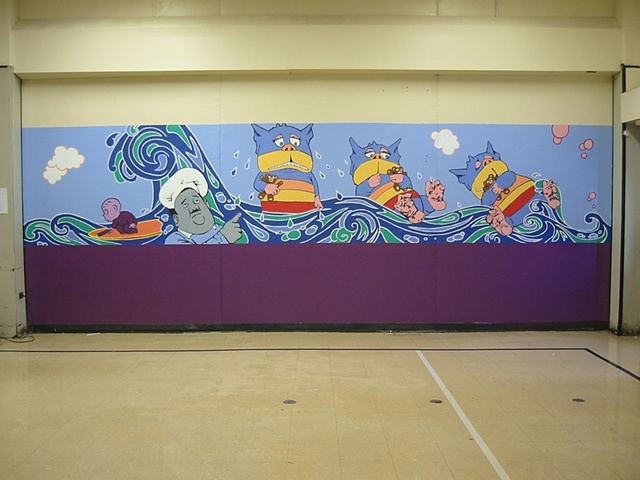 We used a collage process to create scenes which placed the characters out of their original context and into new landscapes for them to interact with each other. 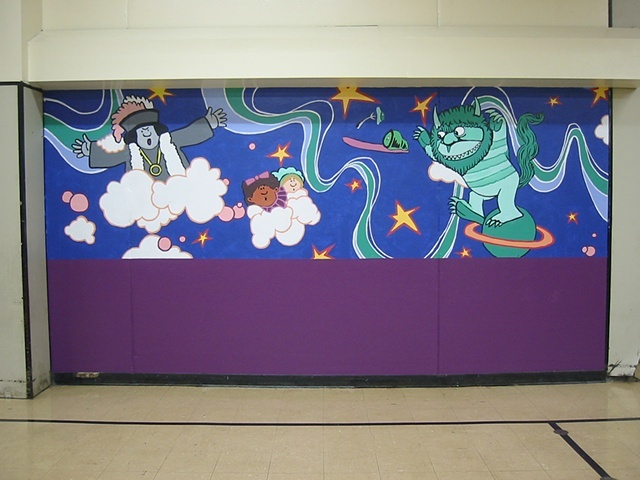 The kids had fun juxtaposing authors against each other-- see the "Where The Wild Things Are" character standing on the planet Saturn chasing after some Green Eggs and Ham. 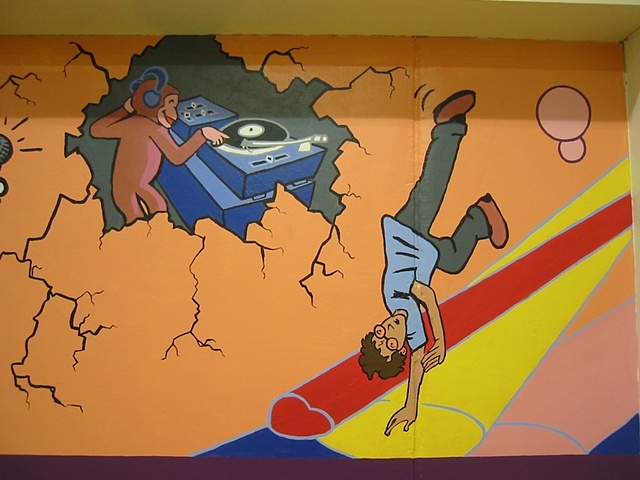 We also some got a kick out of contemporaizing some classic characters-- see Curious George djing, Harry Potter breakdancing, Captain Underpants MCing, and the hippos George and Martha on their cell phones!